What is the first thing you should do with your new MLM Distributors? If you’re trying to build a large team of distributors and duplicate yourself, you need a systematic plan to help your new distributors get started right. Without a doubt the first thing you should do with your new team members is to help them establish goals for their business. You see, most people who get involved in our industry quit within the first two months. And the few that stick around are usually gone by the end of the first year. This happens for a variety of reasons, but the bottom line is you could retain a lot more of your team members if you give them realistic expectations and help them set goals for their MLM Business. When you first sponsor someone into your business, you should find out what they want to accomplish with the business. In other words, what is their why? For some people, they will want to make the big bucks. Others simply want to get their products free each month. And others want to earn an extra $500 to $1000 per month. It’s important to remember that everyone is different and everyone has different goals. Don’t think that everyone wants to accomplish the same goals you do, because they don’t. So when someone joins your team, ask them “what do you want to achieve with this business?” Or, “what are your goals for the business?” Once you ask them this question do yourself a favor and be quiet and listen to what they have to say. You will learn a lot by listening. Zero in on their goals. Have them write down their goals on paper and then be a leader and SHOW them what they need to do to reach those goals. For example, if your new distributor tells you that they want to earn $500 per month within the next 90 days, help them create a game plan to do it. Show them how many customers and team members they need to reach those goals. Explain to them what steps they will need to do to get those customers and team members. Be as specific as possible. Helping your new team members establish written goals for their business will have a huge impact in your business. Sure, some people will still quit. But you can retain more people by helping them identify their goals and developing a clear plan of attack to reach those goals. That’s more than most distributors get from their upline. So be a leader and lead by example. Call up every new team member on your team, whether you sponsored them or not and find out what they want to achieve with the business. And then take the time to explain to them what they need to do to reach those goals. It will be time well spent. What are your thoughts? What do you think is the first thing you should do with your new MLM Distributors. Leave a comment and let us know. I totally agree that all network marketers should have written goals and a business plan and I believe that having their distributor helping them plan out these goals is a great idea. And as a distributor, not only is this helping your recruit but it is helping you as well. As always, you give great advice in this post. It is important to form a team in the true sense of the word. Make your new recruits feel welcome and empowered. Make it clear by your actions, not just your words, that you are there to support and mentor them. It is better to keep and develop an existing team member (assuming that the team member as enthusiastic about you as you do about them), than it is the find, recruit and develop a new one. Giving your new distributors realistic expectations and helping them set goals is very important. I think something that should be stressed is written goals. Sometimes we set goals but do not write them down. By putting them on paper, it is easier to hold ourselves accountable to shoot for those goals. I believe that a sponsor should show prospects examples of written down goals; it could be the sponsor’s goals, or one of the other team members. If a prospect has an example, it will make it easier for them to develop there own goal sheet. This was a very good post. 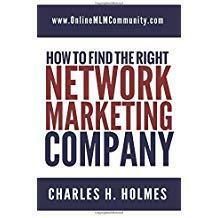 It would be wise if many network marketers would read this. All network marketers should have written goals. And a business plan.